Eat at Burton's, where quality reigns supreme. 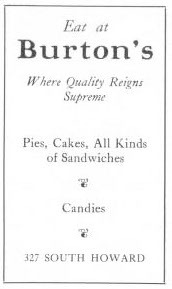 Pies, cakes, all kinds of sandwiches. Candies.